How you should feel when some cute fashion magazine from Croatia publish your photo in their latest issue?! Happy and excited of course! 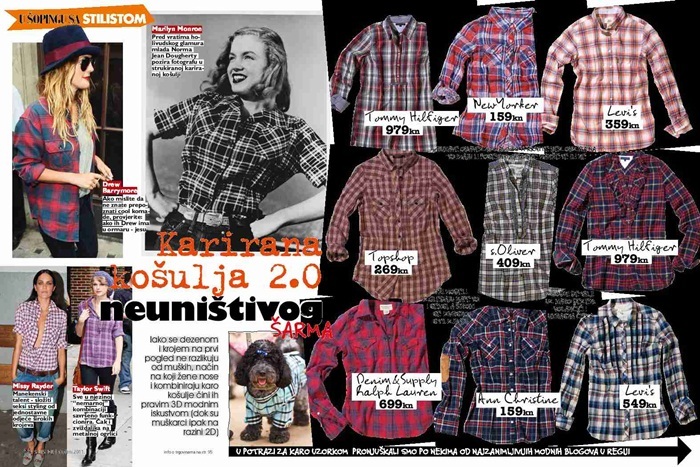 Thanks to "Stilist" im one the same page with great Croatian bloggers Ljupka, Jelena and Mila, where we are talking about our passion about plaid shirts and how to wear them! And i really like this page so i wanted to share it with you! Happy Friday, enjoy in your weekend!